Therese Samudio is an engaging, interactive, dynamic, entertaining, motivational and very knowledgeable�speaker. She has had�10,000 face-to-face sales interviews�with business owners across the U.S.,�while selling and teaching others to sell management consulting services. The founder of SalesPro Institute LLC, she�is the author of Don't KILL the Sale Before You Show Up! The daughter of a super-star nationally-recognized life insurance salesman and an an award winning community journalist,Therese had the privilege of running sales leads with him and news assignments with her from a very young age. What an education! "These experiences taught me how to be rapidly perceieved as credible and to get to the real story easily." 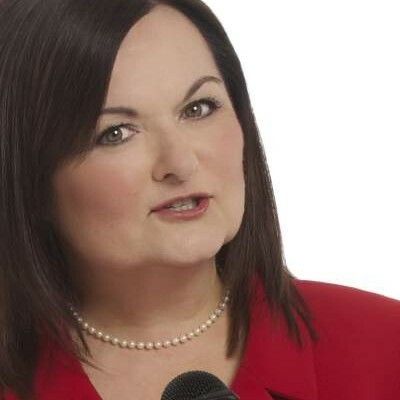 Therese is a professional member of the National Speakers Association, The Global Speaking Federation, and a�Toastmasters Club for Professional Speakers. She participates in numerous sales and business organizations and is a continual learner believing and teaching To Earn More, Learn More! Find out more about Everlasting Performance Activator at http://salesproinstitute.com.